Smart Insoles integrate low cost sensors (e.g., textile-based pressure sensors, gyroscopes, and accelerometers) and compute important gait parameters. In this way, patients or users can wear them for gait analysis in daily life instead of experiencing the artificial settings of gait labs for hours. 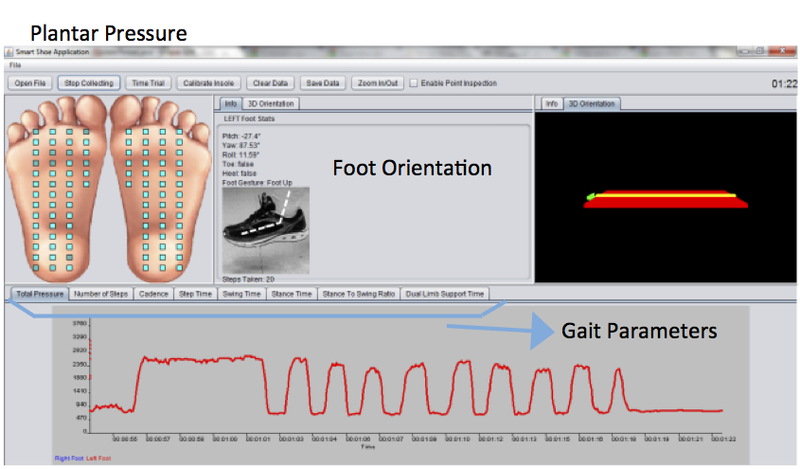 With this new wireless insoles, not only can gait analysis can be performed in an accurate and ubiquitous manner, but it can be extended to many new applications such as fall prevention, activity monitoring, sports training.